"Dédé waits. To life? To love? In the meantime, he opens and closes the doors. So do I." With these words Philippe Starck describes his doorstop Dédé. A perfect example of Philippe Starck's poetics, Dédé convinces with its functional, suggestive form and the pleasant presence that makes everyday life easier for us. The door stopper was already made of cast aluminium in 1996. In the new edition, Dédé is made of thermoplastic resin in various expressive colours. The Dédé doorstop from Alessi in pink in single product view. 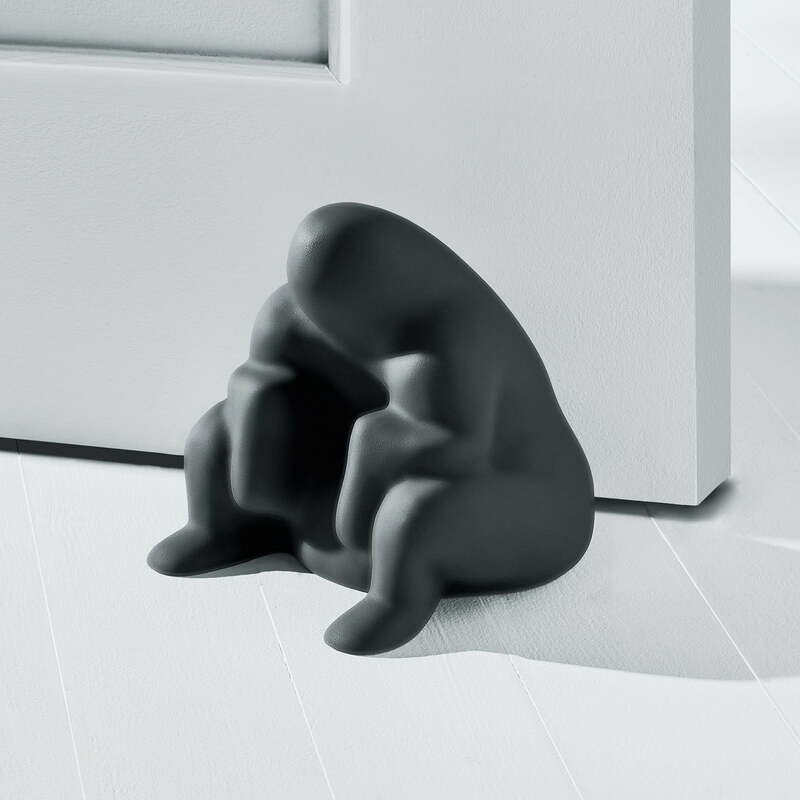 This exceptional door stopper was designed by Philippe Starck and is made of thermoplastic resin. A perfect example of Philippe Starck's poetics, Dédé convinces with its functional, suggestive form and the pleasant presence that makes everyday life easier for us.